In English, we use the word, “try” to mean both “to try something out” and “to make an effort to do something”. In Japanese, these are separate grammatical expressions. For instance, “I tried the cherry flavor” and “I tried to do homework” mean quite different things and though English does not make a distinction, Japanese does. 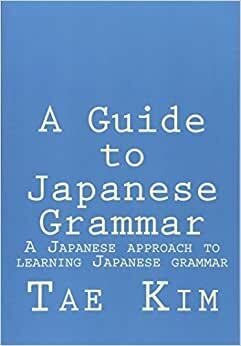 Conjugate the verb to the te-form and add 「みる」. I tried eating okonomiyaki for the first time and it was very tasty! I tried drinking alcohol and I became extremely sleepy. I’m going to check out the new department store. I want to try eating Hiroshima okonomiyaki! We already learned that the volitional form was used to indicate a will to set out to do something. If you guessed that this next grammar for attempting to do something would involve the volitional form, you were right. To say that you tried (as in attempted) to do something, you need to conjugate the verb into the volitional, enclose it in a quotation (so that we can perform an action on the clause) and finally add the verb 「する」. Or put more simply, you just add 「とする」 to the volitional form of the verb. This is simply an extension of the quoted relative clause from the last section. Instead of saying the quote （言う） or treating it as a thought （思う、考える）, we are simply doing it with 「する」. Change the verb to the volitional form and add 「とする」. Everyday, she attempts to avoid study. He is attempting to force his way into the room. I attempted to sleep early but ended up staying up all night. He tried to drink alcohol but his wife stopped him. Though we use the verb 「する」 to say, “to do attempt”, we can use different verbs to do other things with the attempt. For instance, we can use the verb 「決める」 to say, “decide to attempt to do [X]”. Here are some examples of other actions carried out on the attempt. I thought I would attempt to avoid studying as much as possible. Decided to attempt to go to gym everyday.